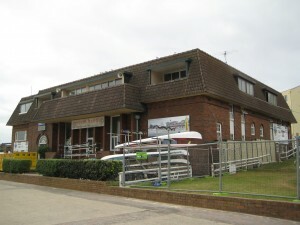 In May this year the North Bondi Surf Life Saving Club (SLSC) voted to replace the existing Clubhouse with a new building. Then a few weeks ago, the iconic building, that has stood on the promenade for 77 years (where Ramsgate Avenue meets Campbell Parade), turned to rubble. Like many other buildings that had always been part of the Bondi I knew, the old North Bondi Surf Club building was demolished and is no longer part of the Bondi landscape. At a cost of several million dollars, the new Bondi Surf Club building will comprise four levels, including a dug out basement to store boats, skis and training equipment. 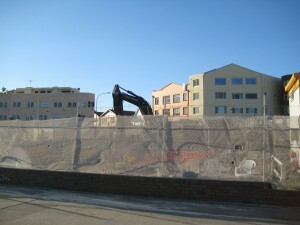 Nothing lasts forever and urban development is well and truly now part of the “Bondi character” but it is understandable that the building that previously occupied the space where the North Bondi SLSC stood, was no longer sufficiently serving the needs of the Club nor it’s large membership. When a family grows, it needs a bigger house and so the family often moves. 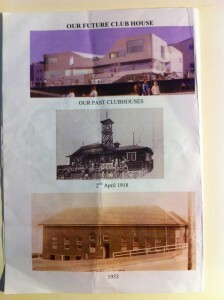 But you can’t move the Clubhouse away from the beach, and so I guess that the most sensible alternative was to replace it with a building that would be more functional for the needs of the Club in 2012 and beyond. 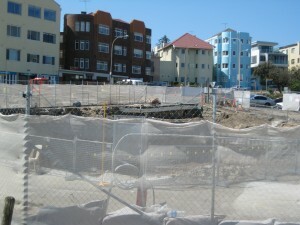 I will miss seeing the old “Pizza Hut” building on the promenade at North Bondi. So it is with a sense of reluctant acceptance that I await to see the new Clubhouse erected on the ever changing Bondi Beach landscape. 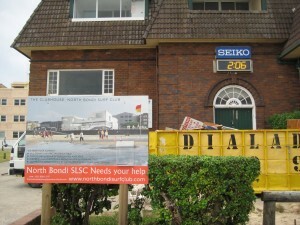 These images of the previous two North Bondi Surf Live Saving Clubhouses and the upcoming future Clubhouse, are taken from the flyer that the North Bondi SLSC circulated earlier this year, to gather support and donations for the new building.